Dec. 7, 2017 8:30 a.m.
A traffic control personnel has died following a long battle in hospital after being struck by a vehicle nearly three weeks ago. The 66-year-old women from Enderby was hit Nov. 17 on Highway 6 in Lavington, where she was directing traffic. The flagger was flown to Kelowna General Hospital by air ambulance. At the time Cpl. 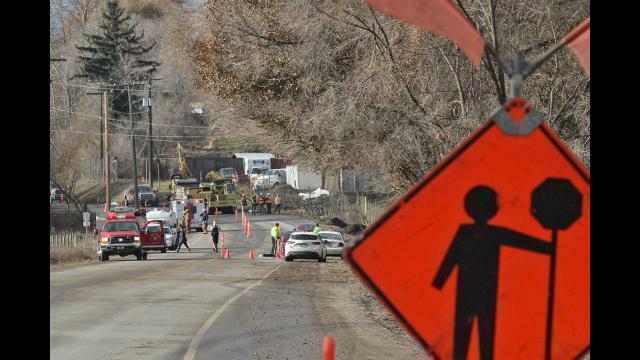 Annie Linteau said police attended a construction zone on Highway 6 in Lavington between School Road and Hill Drive after receiving a report that a traffic control person had been hit by a vehicle. “The 75-year-old driver of the vehicle involved is co-operating with the investigation and a number of witnesses have been identified,” said Linteau. Police are continuing their investigation.